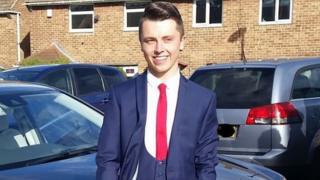 A second man has been charged with the murder of a teenager who was fatally stabbed. Connor Brown, 18, died in hospital after being attacked behind The Borough pub in Sunderland city centre at 01:30 GMT on Sunday. A 19-year-old man from the city has been charged with murder and possession of a knife. A 20-year-old man, also from Sunderland, was charged with murder on Monday. Both are due to appear before South Tyneside magistrates later.